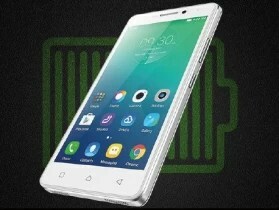 Bring home the Lenovo VIBE P1m and enjoy an exceptional performance and long-lasting battery life. Enjoy up to 16 hours of talk time and up to 20 days of standby time on the VIBE P1m, thanks to its long-lasting 3900 mAh battery. The OTG feature lets you use your Lenovo device to charge your other devices. This device is equipped with a manual power saving switch that lets you extend battery life by disabling functions other than call, SMS and clock. 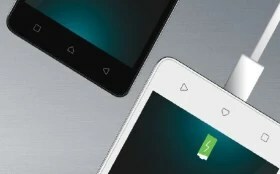 Thanks to the Quick Charge function, you can quickly boost your device’s battery by just plugging it in for a few minutes. With the advanced splash-proof nano-coating inside and outside, your Lenovo device is engineered for protection against sudden drizzle and accidental spills. This device has a polycarbonate rear cover. 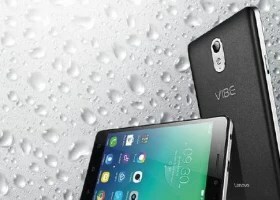 The Lenovo smartphone comes with a large 12.7 cm (5) HD IPS display. You’ll love watching videos, browsing the Web and playing games on this device. Thanks to the 64-bit Quad-core processor and 2 GB RAM, this Lenovo phone delivers a seamless and smooth performance. It runs on the Android 5.1 Lollipop operating system. 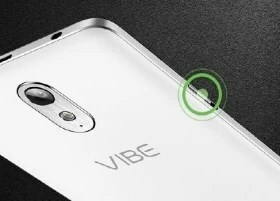 Click noteworthy photos and selfies with the 8 MP rear camera and 5 MP front camera of the VIBE P1m. Store your favourite songs and apps in the 16 GB storage space offered by this device. You can expand the storage space to an additional 32 GB using a microSD card.